Male-HulhuMale bridge is a Toll Bridge. It basically means that the bridge users have to pay a fee (ie. toll) for using the bridge for passage. Toll is a charge payable to use the bridge. It is a form of pricing typically implemented to help recoup the cost of construction and maintenance. 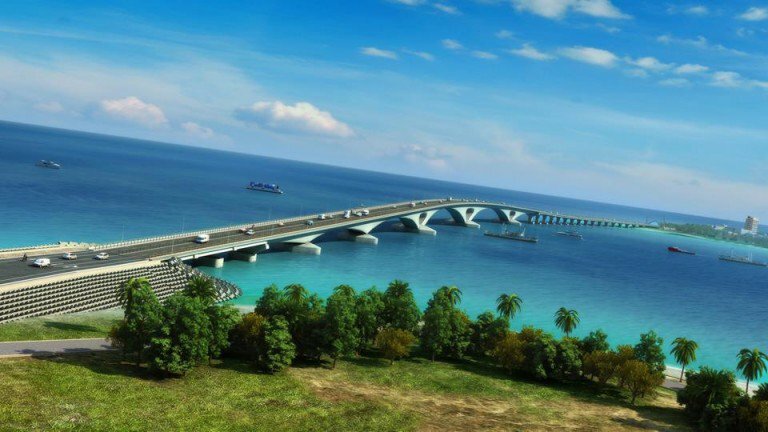 Here, we outline three main reasons why China-Maldives Friendship (CMF) Bridge must be a Toll Bridge. Male' is already congested. The bridge is said to be a part of solution. Meanwhile, it also increases concentration into Greater Male zone. The bridge is displayed as an added luxury to those living in the zone. But, the cost of construction heavily comes from taxpayers' money. Taxes are paid by everyone alike. But not all people are going to regularly use the bridge due to geographic and demographic reasons. It is not necessarily fair to make everyone meet the cost of something that some people can not dream of using. It is unethical to make the Have-Nots meet the cost of a bridge that can only be used by the Haves. Therefore, it is always better to make users responsible to pay for the service they get but avoid passing the burden onto the deprived. Bridge maintenance and Toll System will create at least few jobs. On the other hand, the use of the bridge must also be restricted to some extent so as to ensure job security of the Ferry captains and crews. The charge must reflect on the ideal level of bridge use in one side and ensuring job security from the other side. Bridge costs more than USD 200-300 million. It is almost 10 percent of the national annual GDP. So, the CMF Bridge must not be left to use as a free good. There must be a charge to ensure that we use the bridge for a reason. It must not give rooms for free riders. Absence of a toll system results in non-excludability. Users can not, technically, be charged as long as non-excludability continues. Therefore, CMF Bridge must be a Toll Bridge where users are charged and non-users are made not responsible for the cost of construction and maintenance. For users, the amount of the toll can vary by vehicle type, weight, or number of axles, with freight trucks often charged higher rates than cars and cycles.